Kevin Winter/Getty ImagesU2 was the highest-paid musical act in 2017 earning $US54.4 million according to Billboard’s annual Money Makers report. About 95% of the group’s total earnings came from touring. The majority of an artist’s revenue comes from touring, selling merchandise, licensing their music for things like television, movies, or video games, and partnerships or side businesses. Streaming is often thought of as the future of music and can provide artists with a nice source of income. But it isn’t nearly as lucrative for artists as other revenue streams. There’s a common misconception about how major musicians earn their money: In short, it’s all about having a hit song that breaks the top 40 music chart. In reality, it’s more complicated than that, and an artist’s financial success often comes from revenue streams outside of streaming or downloads. But, as Bellas noted, “artists have always made the bulk of their money from live performances and touring.” And for big names in the industry, the numbers back this assertion up. 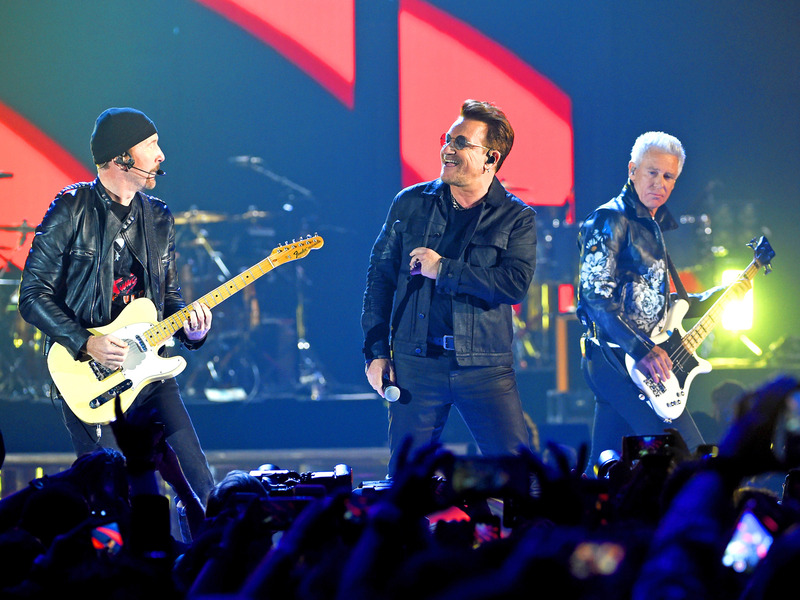 Consider, for example, U2, which made $US54.4 million and was the highest-paid musical act of the year in 2017, according to Billboard‘s annual Money Makers report. Of their total earnings, about 95%, or $US52 million, came from touring, while less than 4% came from streaming and album sales. Garth Brooks (who came in second on the list), owed about 89% of his earnings to touring, while Metallica (ranked third) raked in 71% of their earnings in the same way. “In the last several years, streaming revenue has increased, but it is still not enough on its own to financially support a career with longevity,” said Erin M. Jacobson, a music-industry lawyer based in Beverly Hills, whose work involves negotiating record contracts on behalf of artists ranging from up-and-coming artists to Grammy-winning musicians. Other common sources of revenue, according to Bellas, include sync licensing (for example, when an artist sells the right to play their song on a T.V. show, or in a movie or video game), and side-businesses, like fashion lines, as well as partnerships with brands. Think, for example, of Rihanna’s makeup and lingerie lines, or the soundtrack to your favourite movie, or any ad campaign starring your favourite famous musician. According to a recent Citigroup report, the music industry generated a record $US43 billion in 2017, but recording artists saw just 12% of that revenue, or $US5.1 billion, and the “bulk” of their revenues came from touring. Music businesses, including labels and publishers, took home almost $US10 million, according to the report, which showed that artists are still grabbing a meager percentage of the increasing revenues in streaming, where music labels and streaming services act as intermediaries. Artists also have to deal with the issue of copyright, where revenues for their music are further split among publishing companies, music labels, and songwriters. So, despite common belief, getting signed to a label isn’t necessarily more lucrative for artists nowadays. With the constant changes in the ways people listen to music, the future of the industry, and what artists stand to gain, is unclear. Yet, a recent surge in music revenue paints an optimistic picture of where the industry is headed. According to the RIAA, music industry revenue has increased for two consecutive years. That’s the first time it’s happened since 1999.